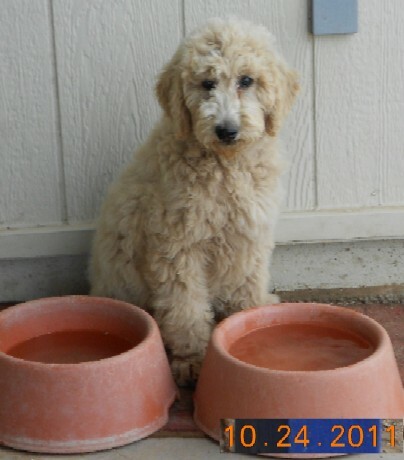 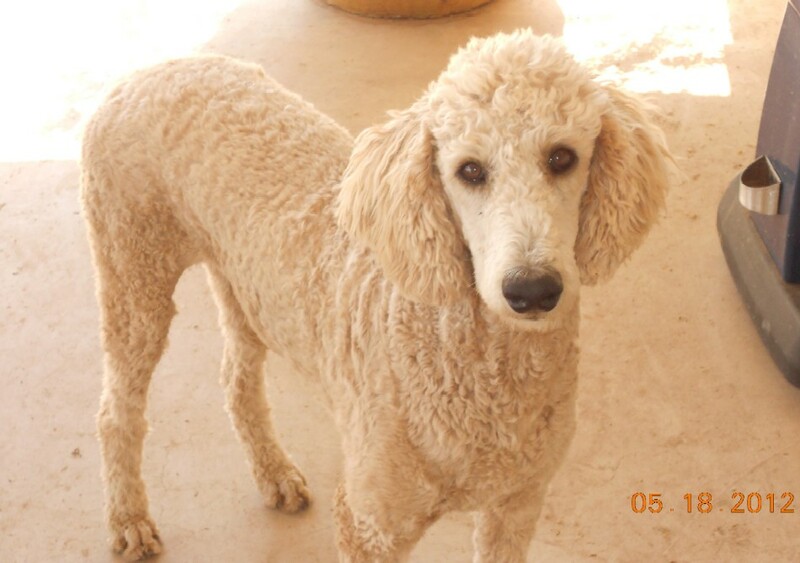 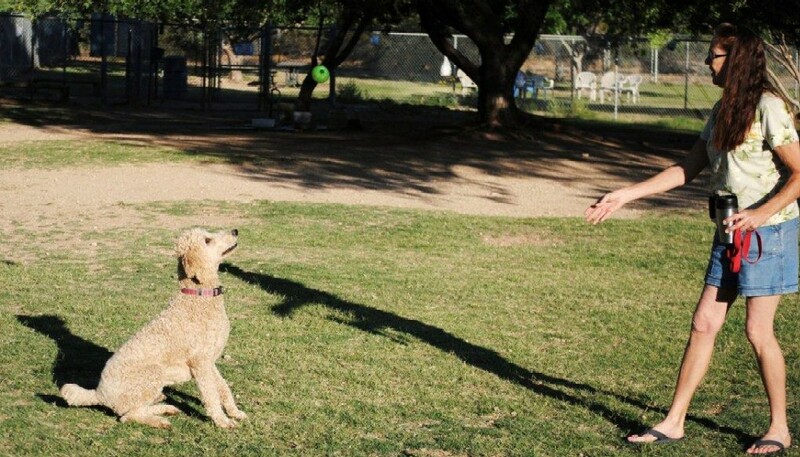 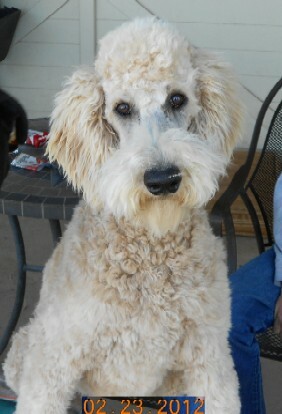 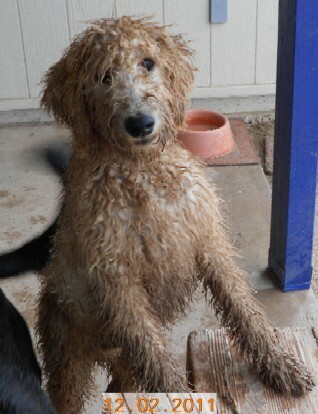 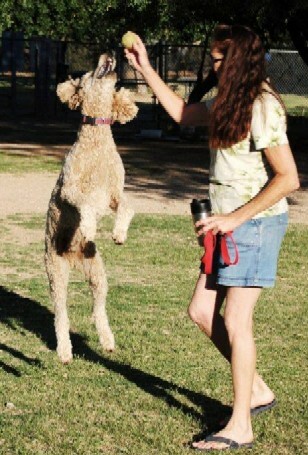 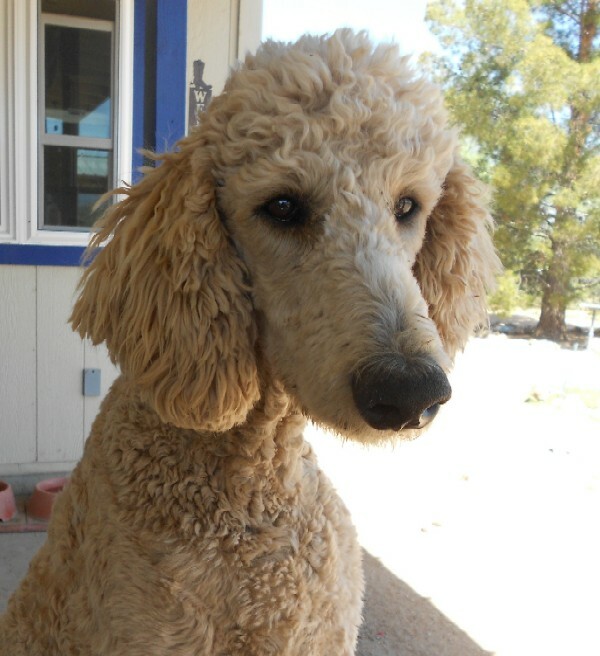 Trooper is a standard poodle who lives with our friend Cam here in Tucson. 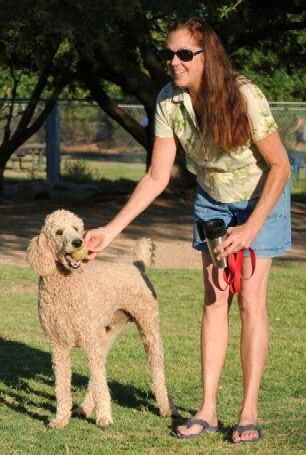 He is one of Garrett's and Coco's friends from McDonald Dog Park. 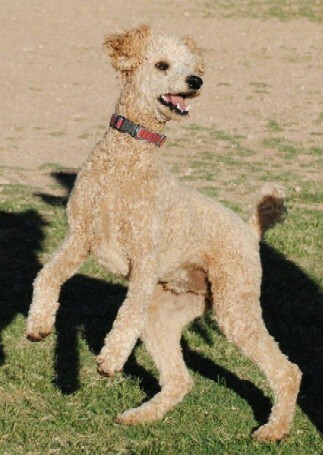 Trooper was born in July 2011 and came to live with Cam on October 10, 2011. 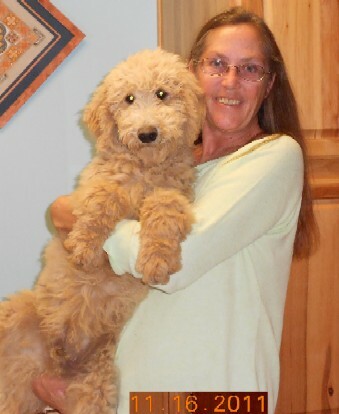 The first two pictures were taken in May 2012; the next five are earlier shots (as dated). 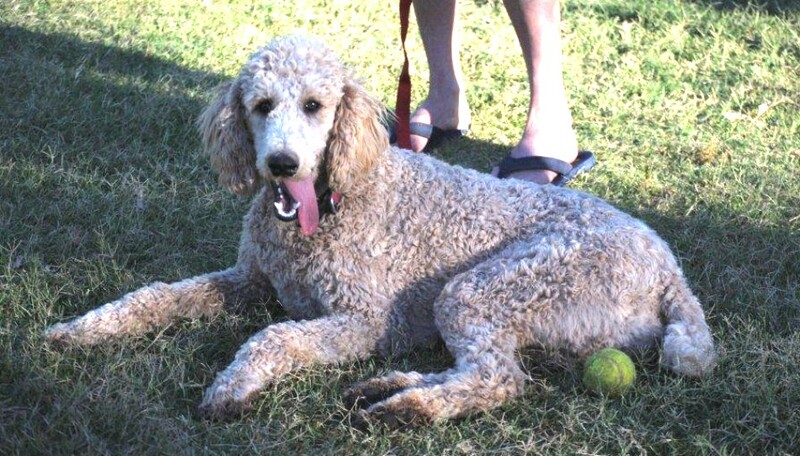 The pictures below were taken in June 2012 courtesy of Max and Larry. 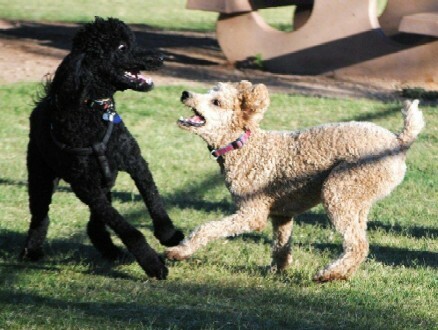 Trooper is Coco's best playmate at McDonald Park. 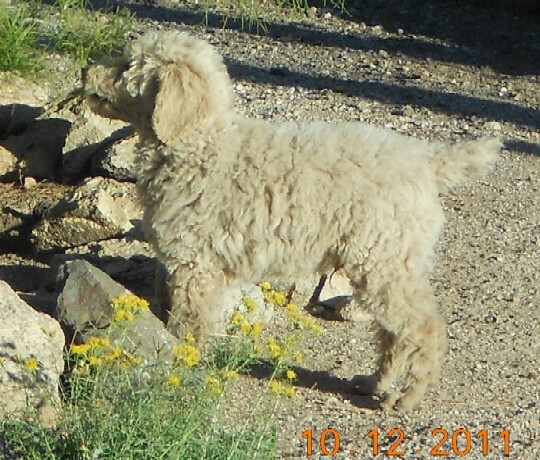 Trooper is two months older and much wiser. 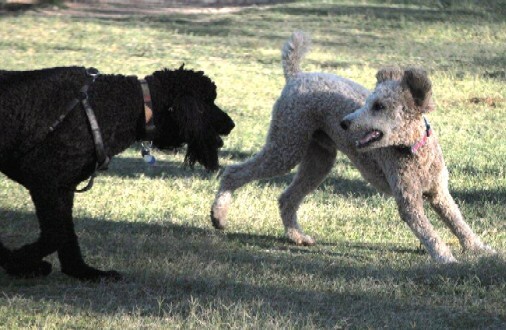 He is chasing Coco in this stop-action photo from June 2012 (courtesy of Max and Larry). 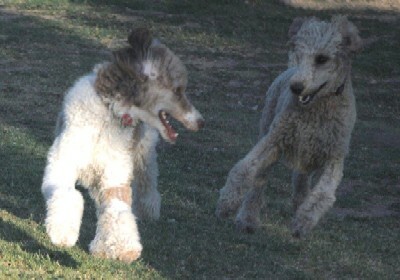 To see more high-speed shots of Coco and Trooper playing, click here. 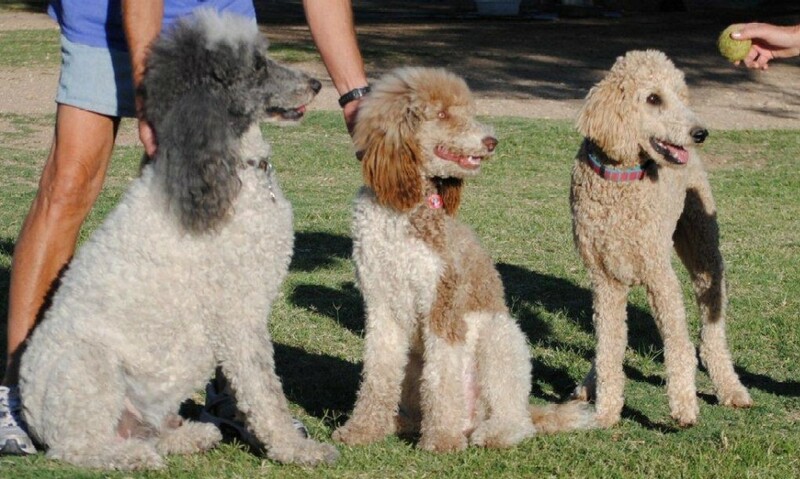 Trooper during the 2016 Poodle Romp.